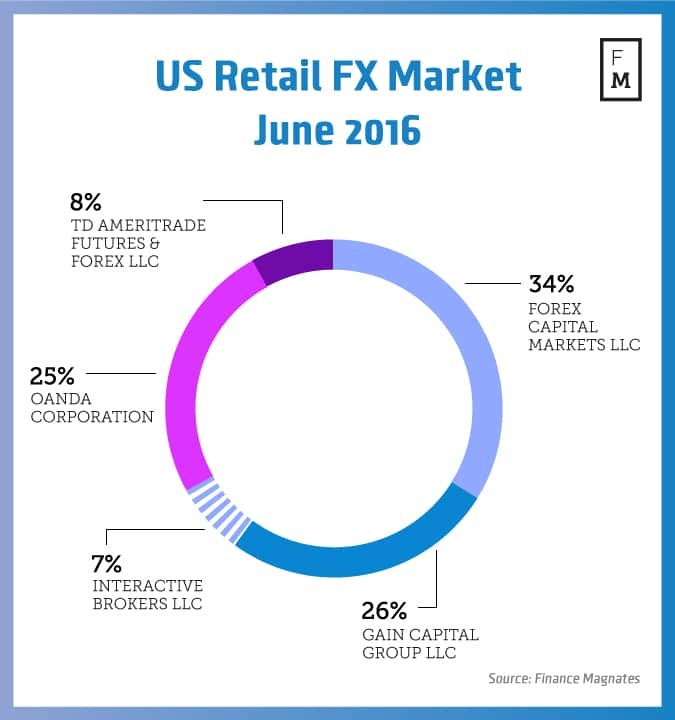 What’s Next for US Forex after Interactive Brokers Abandons Retail Market? One of the most meaningful data points on the American retail online forex trading market in the last few years came out on Friday afternoon – a typical day for releasing news that you do want people to notice. Interactive Brokers Group, Inc. (Nasdaq: IBKR), has notified its clients that starting September 1st 2016 only people with assets of over $10 million will be allowed to open leveraged forex positions with the firm. 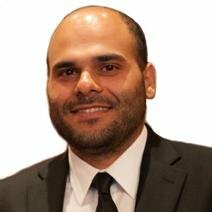 As of June 2016 Interactive Brokers controlled about 7% of the American retail forex market with almost $32 million in obligations, according to the latest Commodity Futures Trading Commission’s (CFTC) monthly report on Futures Commission Merchants (FCMs) and Retail Foreign Exchange Dealers (RFEDs). This raises the question: where will all these traders with less than $10 million go now? The first thing we would have expected to happen in any other market is that Interactive Brokers would sell its client book to one of the remaining players in the market. Both OANDA and GAIN Capital could use the added market share to effectively match the size of FXCM, and TD Ameritrade could almost double the client assets of its forex branch. The problem is that neither Interactive Brokers nor any of the other brokers has so far announced that any deal is in the works. While it is possible that such an announcement will come soon, we need to consider that the situation in the American market might prevent this option from materializing. The U.S. market has been contracting for years now under the heavy weight of compliance with NFA regulations. From feedback Finance Magnates received from firms that left American shores for greener pastures, it seems that the costs of operating in the US outweigh the benefits. Some even say that the only reason for brokers to remain in the U.S. at this point is branding – being an American player means that you stand in some of the stricter regulatory environments in the world, something that carries weight in unregulated markets such as China. Under these conditions it is more than possible that no firm will choose to pay anything for Interactive Brokers’ client book which could lead to a contraction in the overall market. Traders will have to proactively contact new forex brokers and manually open new accounts, or simply give up on leveraged forex trading completely. Considering that Interactive Brokers’ forte is stock trading it is likely it will simply try to divert clients to that market. If this will indeed be the case, it will mark another sad milestone in the slow death of the American retail forex industry. So now the only hope for USA retail traders is likely bucketshop, non DMA brokers? CFTC and those who lobbied to protect the futures industry by starving out forex certainly took their position seriously. And now we see the results. This is going to force more people offshore to the UK, Aus, NZ, etc to get cheap DMA. although honestly, I would pay $8-10/rt on 1.00 lot forex to get a real price feed and real execution. We can deliver this, just email me any time. They might go to the perhaps upcoming global NASDAQ FX exchange. I guess futures trading is more profitable than FX and they will push clients in that direction.